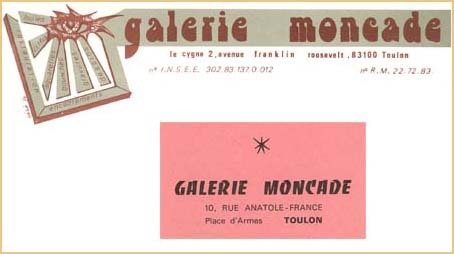 An art dealer Alain Moncade does not deny being, particularly as solid graduate academic training in Art Studies in Rome supports his daily activities. « At that time, I regularly attended painting workshops, art restoration workshops and framing workshops while I painted and sold my paintings ». In the sixties, back on the Côte d’Azur, the modern figurative art enthusiast gave his native town, Toulon, its first art gallery. The adventure begins as painting looses an imaginative. The years go by after having trained, sensitised and informed the public; success settles in and remains. The Master of the Arts becomes a businessman, He buys and opens the famous La Galerie du Théâtre in Geneva in 1976. His team of painters agrees to follow suit, move to this international city where the competition is fierce. The challenge meets the idea Alain Moncade has of his trade: promoting creators in a competitive environment. 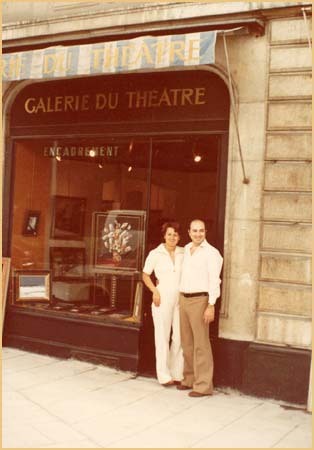 In 1983, he passes the torch to an assistant director and opens a new gallery in Montréal. Galerie de l’Isle sees the day, facing the Montréal Museum of Fine Arts. 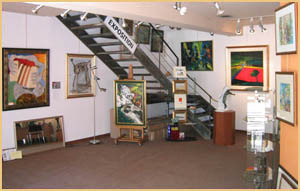 It grows over the years, with patience, loyalty and shared trust between artists, dealer and art enthusiasts. « Many of my painters are represented in the greatest galleries of the world, that is a reassuring argument for a clientele made of private persons and large companies. A gallery director can of course, make a mistake, but many directors on as many continents, I don’t think so! »That is the secret of a 50-year success, 30 of which in North American.